Let’s go up way up. 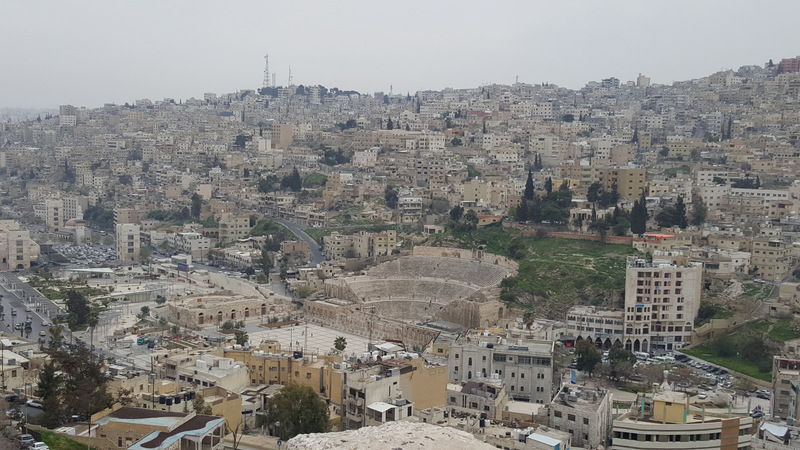 The tour bus had to make a sharp hairpin turn, stopping traffic in Amman Jordan on our way up to the very ancient Citadel. The temple of Hercules is a small ruin atop the path Called that because of the large hand sculpture found there. 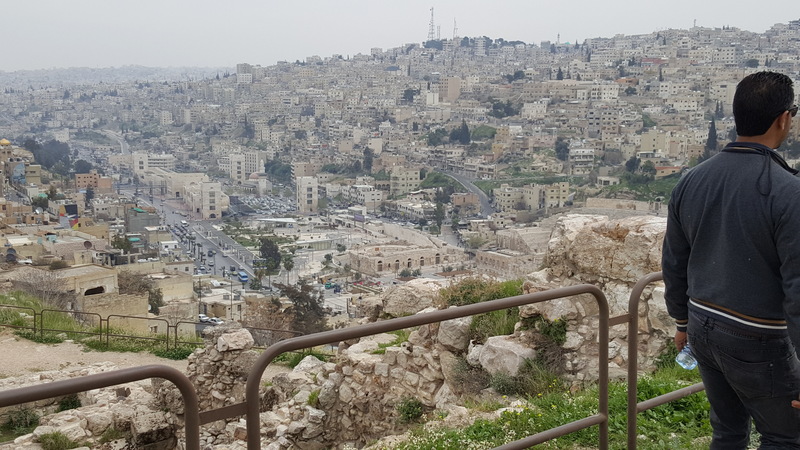 Our guide Abdullah gives a short history for us of Jordan and area. He told me this building was a meeting place for the leader and the people. The original Philadelphia and Capitol Hill ?? The resonance in the front two side rooms was beautiful. I felt very exhilarated here. The view of this ancient city was so dense. It seems to go on forever into the horizon of hills. One thing you notice is the white water towers on homes. 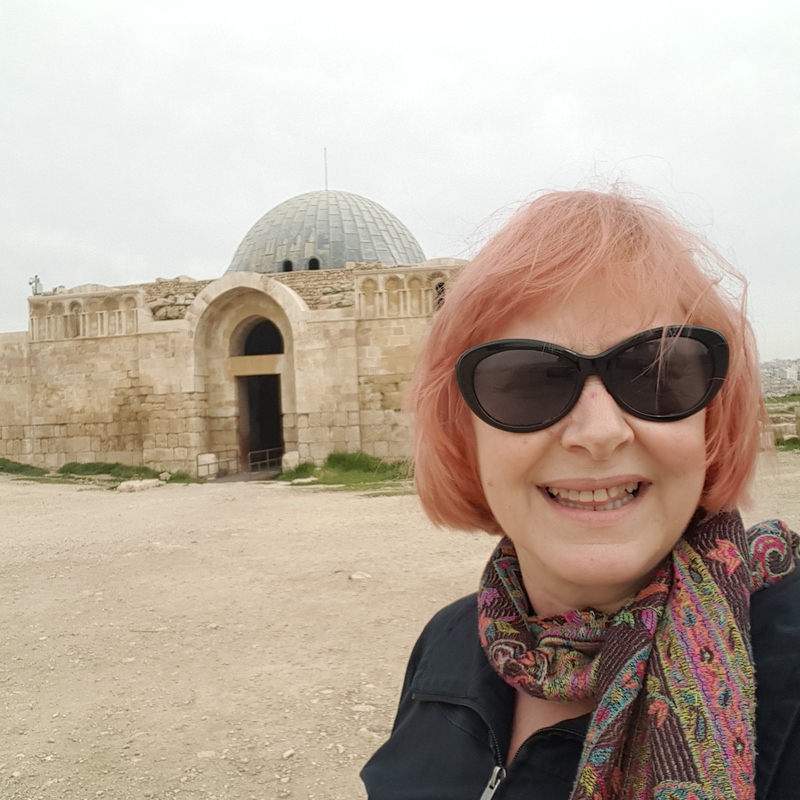 Very important to have water here even in modern Amman. The remains of wells reservoirs and a great Cystern are evident up here too. Water was very scarce and still is i thsi area of the world. 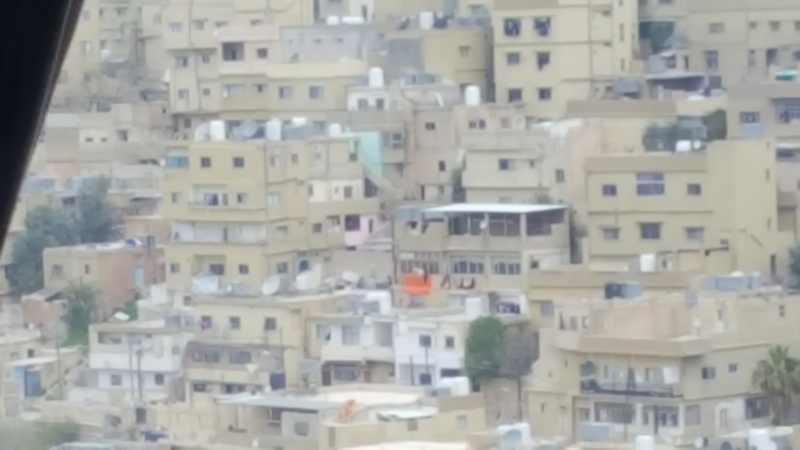 This is a place high up overlooking Amman. 7000 years of archeological history can be found here. Cylinder seals. Ancient glassware a trepanned skull beads cavings and mosaic art was found and on display. Also Egyptian artifacts images of Ammon and Ptah stood outside the small museum. It felt very windy here of course but it had such an exhilarating effect.